If you think we'll link ya - send Bob an now. John Lee is based in Wellington and has helped out many times with the wonderful Harcourt Park. 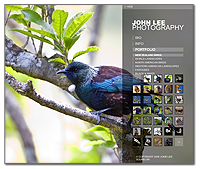 But we warn you - if you are going to visit John's website, give yourself plenty of time because you will be captivated by his photographs ranging from stunning landscapes to the vibrant colours of New Zealand birds. "The art I create focuses on exploring the natural world. I attempt to bring to life the beauty of nature, to paint as it were, a fuller picture than what the camera alone is able to capture." 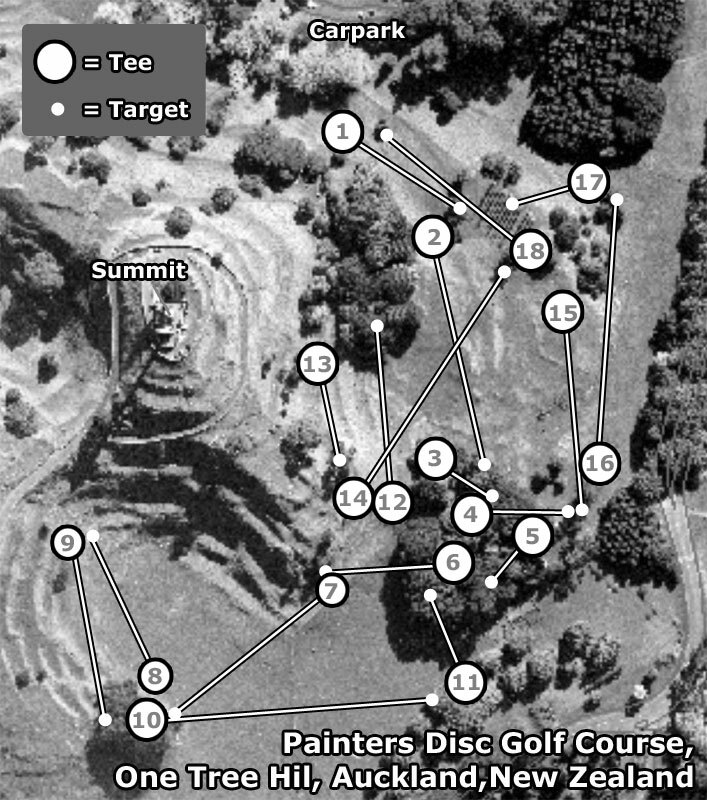 There certainly is some talent in these Kiwi Disc Golfers. 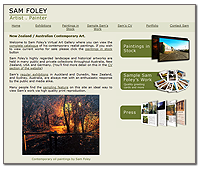 Introducing Sam Foley, Artist and all round good bloke. Sam has developed over the years into one of New Zealand's most sought after landscape and historical artists, often featuring in galleries in both New Zealand and Australia. Sam's website features his work over the last decade and information on where he's featuring next. Sam, son of legendary Freaky Styley Disc Golfer Jono Foley, resides in Dunedin and plays his disc golf both there and in Wanaka where he developed his game on a course designed my him and his mates. "His technically brilliant works show paths through the beech forests of the South Island. The paths have a slight sense of symbolism as he paints the dappled light through the trees and the patterns of the trunks reaching upward." 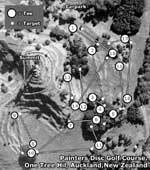 The late Steady Ed's site, the US father of our game! Check out the special memorial page. The DGA was established by Ed Headrick in order to focus his attention on building and inventing equipment for the sport he founded. Ed Headrick coined and trademarked the term "Disc Golf" when formalizing the sport and invented the Disc Pole Hole™ (The Mach 1), the first disc golf target to incorporate chains and a basket on a pole. 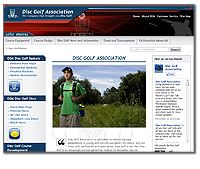 In addition to starting the Disc Golf Association (DGA), Headrick founded the International Frisbee Association (IFA), the Professional Disc Golf Association (PDGA), and the Recreational Disc Golf Association (RDGA). He standardized the rules and the equipment for the fast growing sport. Ed open—sourced his trademark term "Disc Golf" and turned over control and administration of the Professional Disc Golf Association (PDGA) to the growing body of disc golf players to run in 1983. "Steady" Ed Headrick, suffered two strokes while attending the 2002 Professional Disc Golf Association Amateur World Championships in Miami. He died in his sleep, August 12, 2002, at his home in La Selva Beach. He was 78. 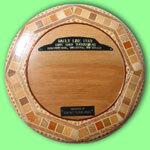 As per his wishes, his ashes were incorporated into a limited number of discs. The discs were given to friends and family and the limited remaining discs will be sold with all proceeds from the sales going to a nonprofit fund for the "Steady" Ed Memorial Disc Golf Museum at the PDGA International Disc Golf Center in Columbia County, Georgia. Today the Disc Golf Association strives to keep Ed's vision of the sport of disc golf alive and is dedicated to making sure that we never forget the man who gave us this sport. As "Steady" Ed said, "The most fun wins" and "Disc Golf will change your life!" Their website may be ugly as sin but this particular page is indeed an interesting one. You'd be amazed at how many different types of frisbee throwing records there are - how about roller distance (no turf) at over 1 km!!! And ice skating MTA! Mini breath tips (huh?) And maximum distance with a hamburger in the other hand (oh hang on, maybe not. Yet). Lets get some kiwis on there we say! 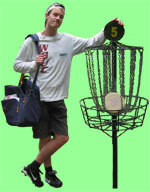 At www.discgolfsweden.se you will find the latest news and a lot of information. Here you can also find the most complete golf disc database in the world with information about more than 750 different golf discs and you will also find information about probably all tournaments in Europe. And as they so eloquently say "Discgolf är en snabbt växande sport i världen och det är inte utan anledning. Den är lätt att börja med, men samtidigt mycket svårt att behärska. Det är lättillgängligt (om en bana finns i närheten), det är billigt (utrustningen är billig och det är gratis eller förhållandevis billigt att spela på banorna). Man kan spela tillsammans med andra eller mot sig själv. Framförallt är det en utmanande och rolig (och ibland frustrerande) sport! " Disc Golf World News magazine site! 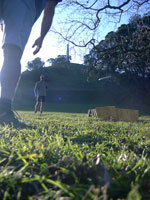 This is a fantastic site set up with the view to getting Disc Golf included in school sports programmes.. The best of the best playing each other in the toughest Disc Golf tours around. 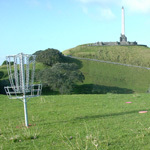 In New Zealand, only 0.00001% of the population has heard of Disc Golf (not counting sheep) - in the States they have a goddamn radio station dedicated to it!!!! Well, you reckon you're pretty good? Then why not join the PDGA? Find courses listed with the PDGA all over the world...from Iceland to Quam, from Peru to New Zealand.